1Starting a Wine Collection in Los Angeles, California. 1.1.11. Must Have an Effective Wine Storage Solution. 1.1.22. Must Invest in an Efficient Wine Cellar Cooling Unit. 1.1.33. Must Anticipate the Growth of Your Wine Collection. 1.1.44. Must Broaden Your Collection and Plan for a Variety of Wine Bottle Formats. 1.1.15. Must Keep Track of Your Wine Inventory from the Start. 1.2.11. Never Buy Just One Bottle. 1.2.22. Never Skimp on Quality Wine Storage Equipment. 1.2.33. Never Depend on Expert Ratings. There are things that you must avoid and things that you should keep in mind when starting a wine collection in Los Angeles, California. Also, when starting a wine collection, you need to invest in a quality wine storage solution. Read this article to glean a few tips for beginners on wine collecting. Starting a Wine Collection in Los Angeles, California. Wine is a very enjoyable beverage.Its value increases over time,which is why it is also an investment. These days, more and more people are getting into the hobby of collecting wine. But a lot of these people, who have just begun their wine collection, are not aware of the essentials. Consequently, they end up damaging their wines and losing their collection. If you want to start your wine collection, you need to start it right. Here are a few of the dos and don’ts that beginners should know. 1. Must Have an Effective Wine Storage Solution. Wines can never be truly enjoyed if they are not stored properly. If you want to start your own wine collection, and be able to enjoy the wines in the future, you need to invest in a good wine storage solution. There are various wine storage solutions in Los Angeles, California. 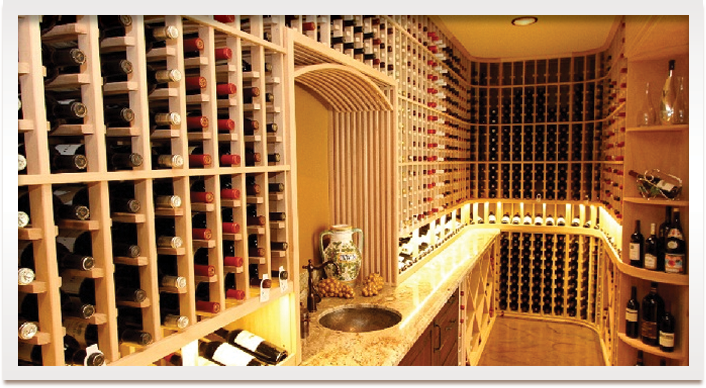 The most popular type of wine storage solution is a wine cellar built in your own home. Do not begin collecting wine unless you already have a wine cellar to put it in. 2. Must Invest in an Efficient Wine Cellar Cooling Unit. Wine cellars, no matter how durable and beautifully-designed, will never be complete without good wine cellar cooling units installed. It is the cooling unit that is responsible for providing the ideal temperature and humidity in a wine storage space, in order for wines to age and develop tastefully. There are different kinds of wine cellar cooling systems in Los Angeles, California, and each wine cellar needs a different one. Have a wine cooling expert determine the appropriate wine cellar refrigeration unit for your residential wine cellar. Moreover, make sure that your wine cellar is properly insulated, with the right vapor barriers, so that the wine cellar refrigeration system can function properly. 3. Must Anticipate the Growth of Your Wine Collection. When you begin a wine collection, you should start small, but do not necessarily have to remain small. Anticipate that, if you enjoy the hobby of wine collecting, you might just expand your collection. When picking wine racks for your wine cellar, choose those that you can expand/build upon as your collection grows. There are wine racks that are designed to accommodate more wines through adding another set of racks to the existing set. 4. Must Broaden Your Collection and Plan for a Variety of Wine Bottle Formats. Newbies at wine collecting often start their collection with a single type of wine bottle format. It’s common to begin with only a few standard-sized bottles. Because of this, the wine storage solution that they have constructed is usually designed to cater to this particular wine bottle size. As their collection grows, they might realize that, to make their collection more interesting, they can add large format wine bottles to it.This in mind, it is recommended that beginners provide a wine storage solution for a variety of wine bottles sizes and shapes, so that, as your collection grows, you won’t have a problem in finding a place to keep them.